There’s been a lot of debate recently about the increasingly popular trend of working from home. Experts from various fields have been studying this phenomenon and most of them agree that it’s difficult to have a very clear stance on this issue. What they’re actually saying is that it has its advantages and disadvantages, and the decision of whether to work from home should only be made in the context of the circumstances someone is living and working. We can thank breakthroughs in the field of digital communication for the opportunity to work from the comfort of our home. 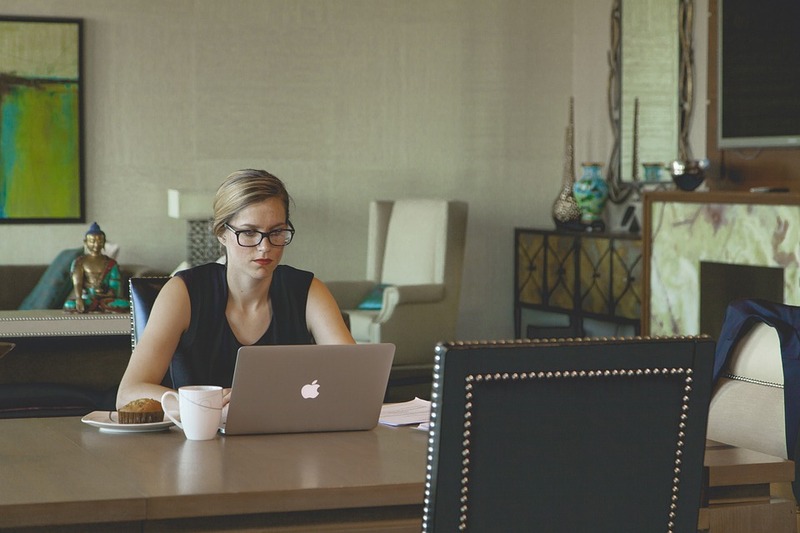 With many jobs which don’t require physical presence in the office anymore, people are becoming increasingly interested in trying to improve their work-life balance by working from home. If we want to focus on the benefits, we’ll definitely have to look at the following widely accepted facts. If you calculate how much money you spend on commuting to work and think about all the other things you could use that amount for, it’s obvious that one of the most important benefits of working from home is actually saving money. And it’s not just the money for petrol or public transport, but you also don’t need to worry so much about having the right clothes for work, which can also save you quite a lot. Finally, when people work from home, their employers also save money. Just think about how much earlier you have to get up to get ready for work in comparison to simply waking up and finding yourself already at your workplace. The time you spend preparing and commuting to work is usually taken from your sleep, which means people who don’t work from home sleepless, and we all know how important sleep is. Even if you manage to get enough sleep despite commuting, you still waste precious hours that you could otherwise spend with your family and friends, doing something that makes you happy. By working from home, however, you can organise your time in such a way that you get enough rest, so you’ll be fresh and more motivated to deal with whatever task might be next. When you share an office with colleagues, you’re bound to be exposed to their banter, loud phone conversations, interruptions that are completely unnecessary, and meetings that seem to last forever. On the other hand, when you work from home, you set your own rules and you can create an environment where such distractions are completely eliminated, or at least minimized. It’s much more difficult to be late for work when all you have to do is get out of bed. People working from home don’t depend on the weather, possible delays in public transport, rush hours, congested traffic and other unavoidable elements of every commuter’s life. This is reflected in reduced stress, which means you can be more focused on your work. Logically, the more focused and committed you are, the better the results. Another advantage of working from home is that you actually get to pick what your office looks like. Being able to create a space where you feel relaxed and where you choose what kind of comfortable, modern office furniture you want to have is something that is impossible unless you are an important manager or a company owner – or your home is your office. The fact that you are at home and not somewhere far for most of the day can mean a lot to those living with you, not only in a practical way, but also in the sense of having you close. This is particularly important for children, or if you’re living with an elderly person who needs more care. Both your mental and physical health will improve if you use the time you’d otherwise spend commuting to do some exercise. You don’t need to go to the gym; you can have a walk, exercise at home or go jogging. Make the most of the time you save to improve your health. Even though we can all agree that working from home is not possible for everyone, and that many jobs are better done with colleagues around you, there’s no denying that, given all the benefits, the option of working from home definitely deserves to be considered by those whose circumstances allow it. As experts say, this is a decision that each individual or company needs to make after carefully analysing all the pros and cons.